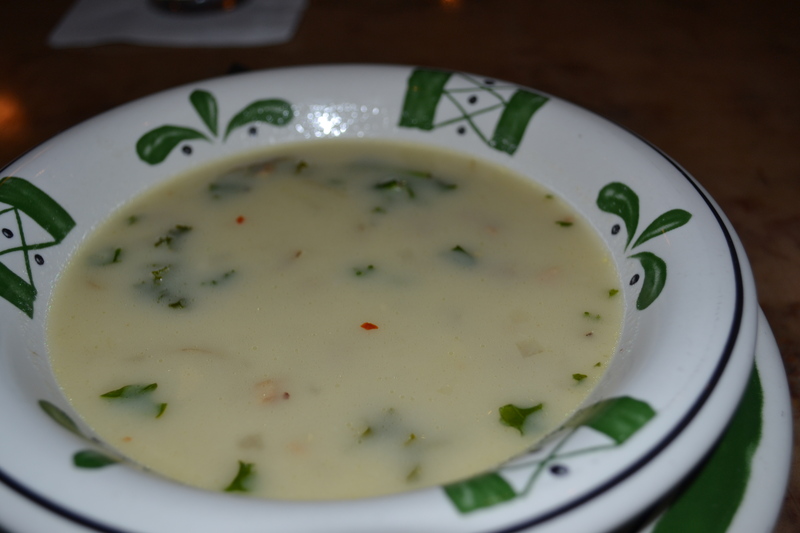 Yesterday, I went to the OG with a serious craving for the zuppa toscana. I think I’ve had it three or four days in a row now, delicious every time. They definitely figured out how to solve their consistency issues, as the soup’s been on point for at least the past two weeks now. 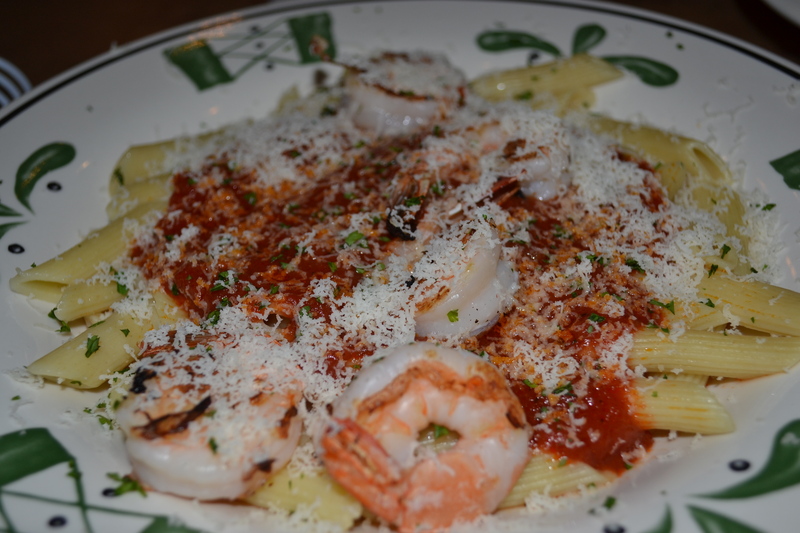 I asked the bartender if there were any off-menu variations I could do for the pasta pass – turns out you can do grilled shrimp or grilled chicken! Can’t do calamari fritta yet though. So how were the grilled shrimp? They were okay, but they probably could have spent another thirty seconds on the grill. 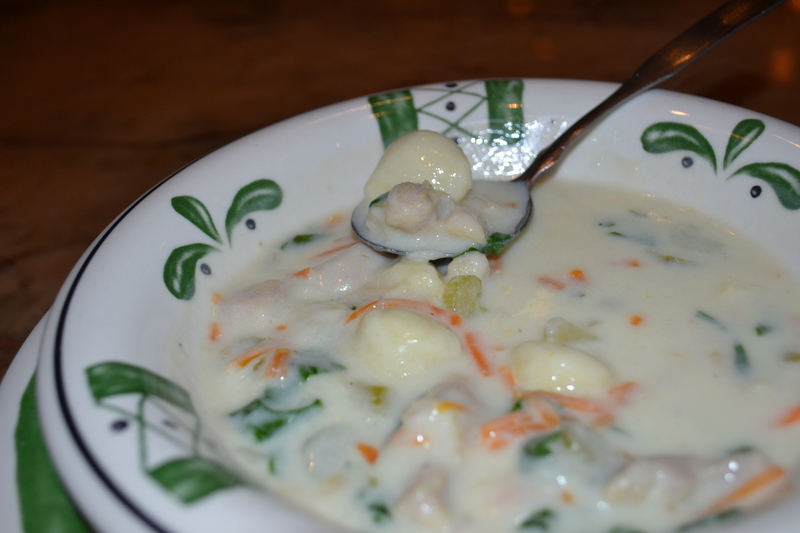 I think I’ll stick with the shrimp fritta – there’s a reason they don’t advertise the grilled shrimp. I think they might have thrown frozen shrimp on the grill. 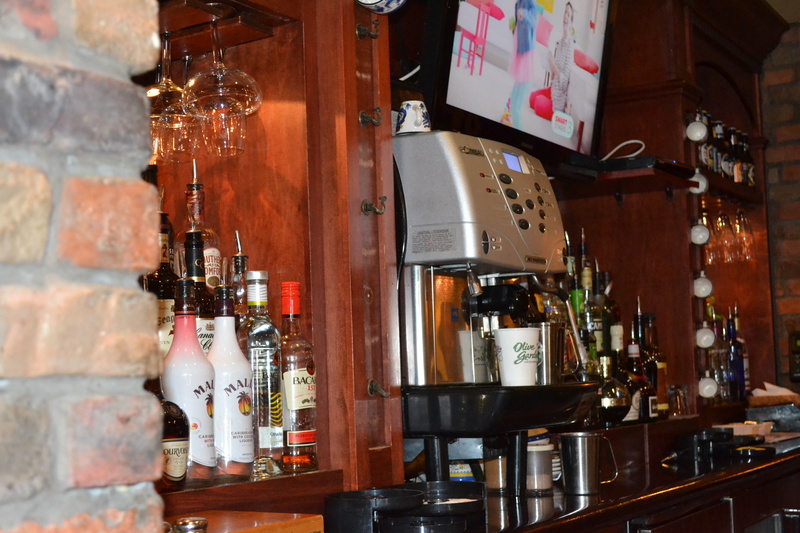 By the way, they have a serious espresso machine behind the bar. Perfect for authentic Italian espresso. Today, the plan was to have all three of the non-vegetarian soups. 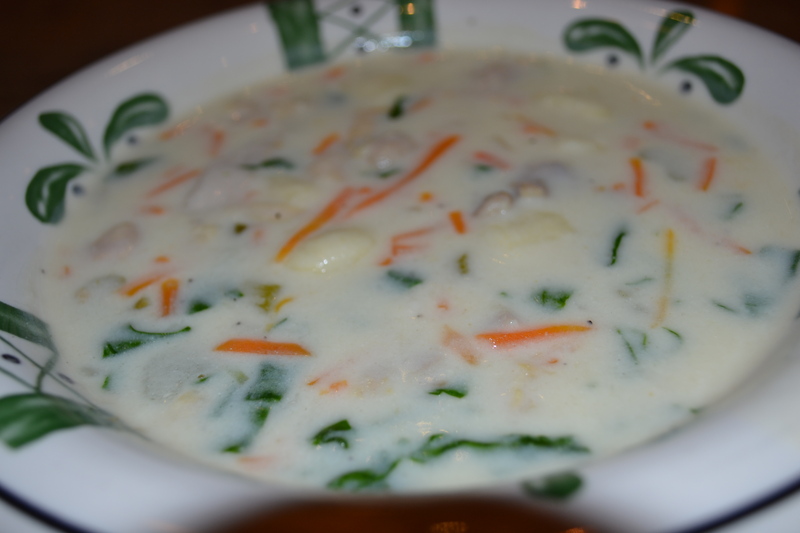 Did the chicken gnocchi first – FANTASTIC day for the chicken gnocchi, the broth was rich and creamy and thick, and every spoonful had either chicken or gnocchi, or both. 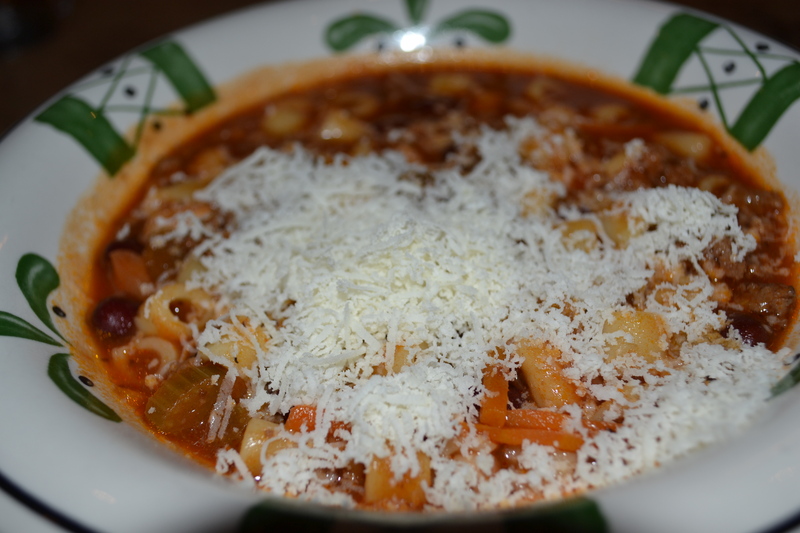 Now that I’ve had the zuppa and the chicken gnocchi a few more times, the pasta fagioli may have dropped to third place on my list of soups. Looking back, I think what it’s missing for me is a bit of a kick. 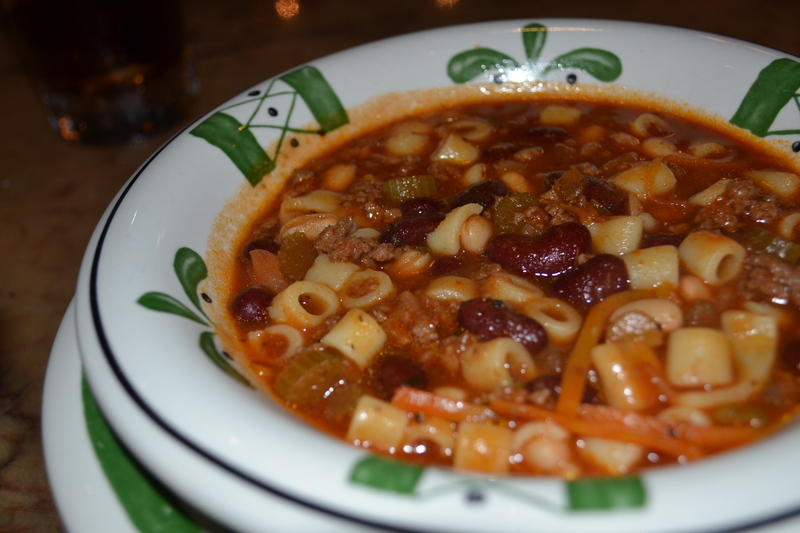 I should have asked for red pepper flakes – I think that or a squirt of sriracha would do the trick. 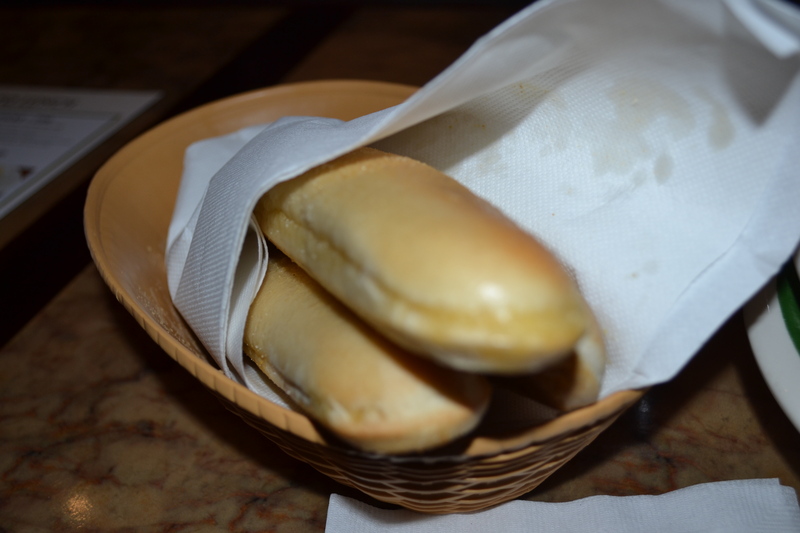 Breadsticks for one was three breadsticks today. Tons of cheese. At this point I was ready for the zuppa toscana, but it was 2:15 or so and apparently the new batch of zuppa toscana was about ten or fifteen minutes away. 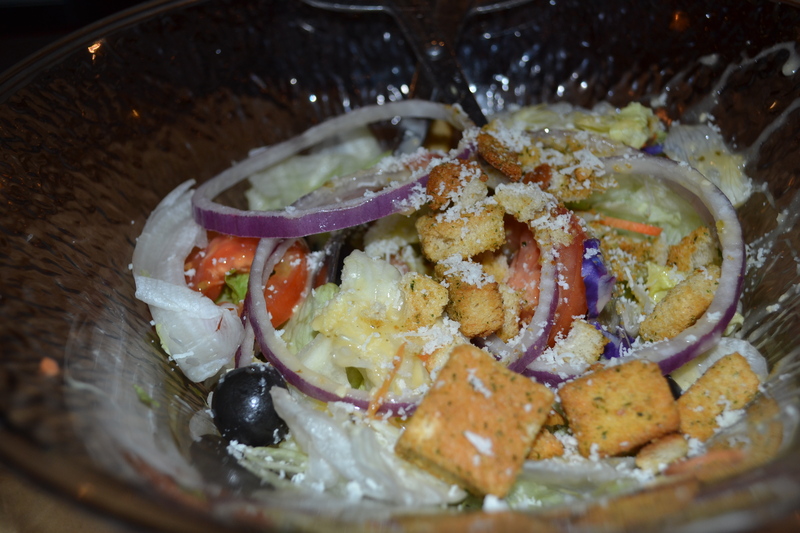 I didn’t really have time to wait, so I ended up asking for a salad instead. I ordered some cavatappi with shrimp fritta, but I ended up getting the pasta to go so I can eat it tonight after work. Pictures tomorrow. Time to hit happy hour!